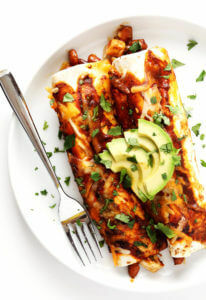 I am beyond excited to share a recipe today from one of my favorite food bloggers, Jenna Weber. 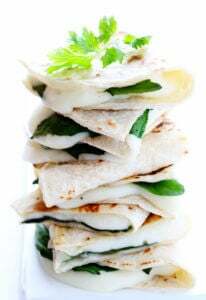 But the even more exciting news is that this recipe is actually from her brand new book that was released this week — White Jacket Required. I have long adored Jenna’s beautiful site, Eat Live Run, and the charming, honest, faithful, stylish, and inspiring life she leads. So it was wonderful to follow along in this “culinary coming-of-age story” to hear even more of the journey behind the scenes that has led her to today. From the entertaining and brave stories of venturing through culinary school, to finding and losing love, to pressing on in some of life’s darkest moments, and to finding hope and new adventures again, Jenna invites us along on the amazing journey that it has been. And of course, the charming conversational style of writing we all know and love from her blog carries you through, making this a page-turner I happily flew through. So if you’re looking for an inspiring, fun new read to cozy up with this fall, I highly recommend checking out White Jacket Required. And congratulations again to Jenna — we are all so proud of you! A delicious recipe for classic risotto from Jenna Weber of “Eat, Live, Run”. Heat the chicken stock in a small saucepan and keep warm over low heat. Heat the olive oil in a heavy-bottom pot over medium heat until hot but not smoking. Add the shallot and saute for about 4 minutes, or until tender and translucent. Add the rice and stir well to coat. Cook for 3 minutes, stirring occasionally. Add the white wine and cook until all is absorbed, stirring constantly. Continue to cook the rice, adding the chicken stock, 1/4 cup at a time (a ladle does this job nicely), stirring continuously over medium heat until the stock has been completely absorbed by the rice. Do not add more stock until the previous amount has been completely absorbed by the rice. Once all the stock has been incorporated, continue to cook until the rice is just cooked through. In a separate pan, melt the butter and saute the mushrooms until tender, about 8 minutes. Add the cooked mushrooms and cheese to the risotto, stirring until combined, and serve. 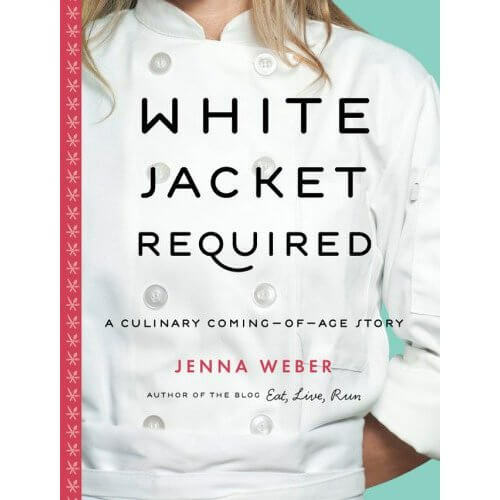 Reprinted with permission from White Jacket Required: A Culinary Coming-of-Age Story © 2012 by Jenna Weber, Sterling Epicure, an imprint of Sterling Publishing Co., Inc.
Disclosure: I was provided with a review copy of White Jacket Required. All of the opinions expressed are my own. This post also contains affiliate links. I LOVE jenna’s blog so I definitely need to get my hands on this book! This risotto looks like the ultimate comfort food. Such a great recipe! Can’t wait to read the book! What a perfect risotto, it looks like it has such a great depth of flavour. 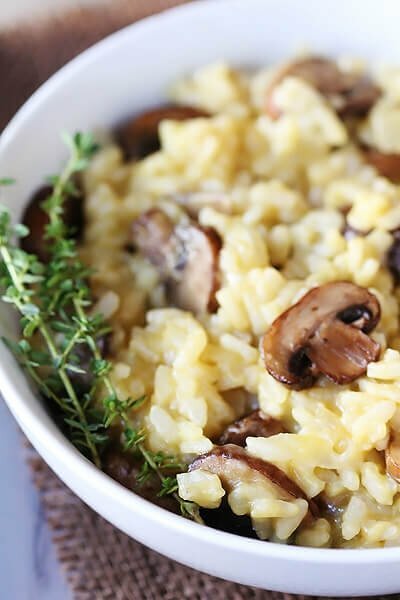 Mushroom risotto is one of my all-time favorite dishes (especially when it’s cold outside!) and this one looks beyond good! I agree, following along with Jenna is so awesome! So excited for her book, and this delish risotto. You’ve done it justice!! I simply adore mushroom risotto. One of my all-time favorites to cook and eat! 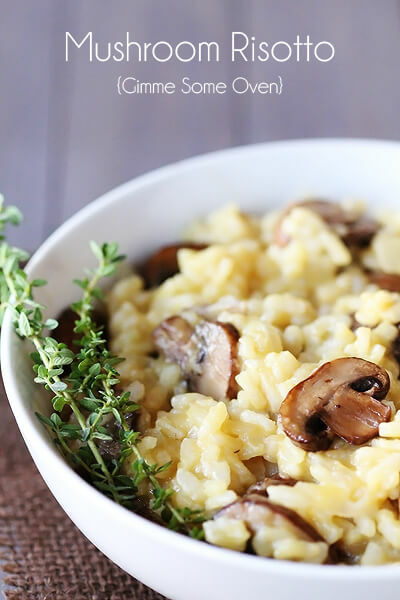 I’m feeling the need for this soon…I’ve been craving risotto lately! The recipe looks fantastic, as does the book! How did you know I was craving risotto? It’s been ages since I last had risotto so I am super excited to make this! 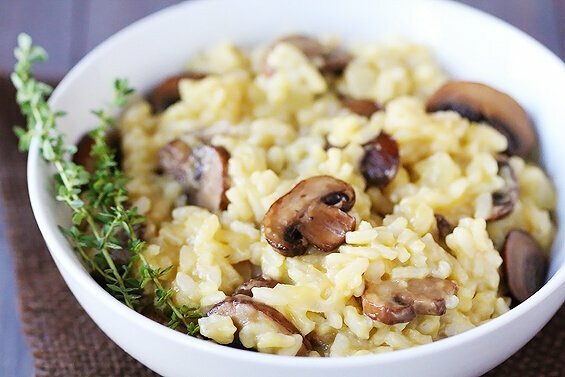 Mushroom risotto is my favorite, this looks fantastic! I will prob make it later this week! iadorewhatilove.com – Check it out. 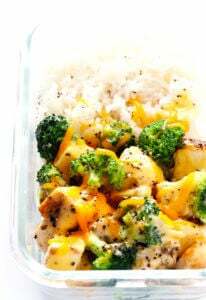 I have made this twice now in just the last couple of weeks and it is a huge hit. If you love risotto this is the recipe to make. It is heavenly. I double the recipe each time and our family still fights over the last portion! I can’t say enough about how much we enjoy this! Had to say I love the name of your blog! So clever. And I’m making Mushroom Risotto tonight! It’s winter over here in South Africa and Risotto is a crazy-good comfort food. TFS your lovely recipe too. Thanks for sharing with us, that’s good to know! Ummm good! Complex flavors wrapped up in comfort. Added a Tbsp of capers in first stage of cooking for a bit of twang. Thanks Denise, we’re glad you enjoyed this – great idea adding capers too, we bet they were a yummy addition! Could you use store bought chicken stock too? Hi Jillian — yes, you could most definitely use store bought chicken stock!